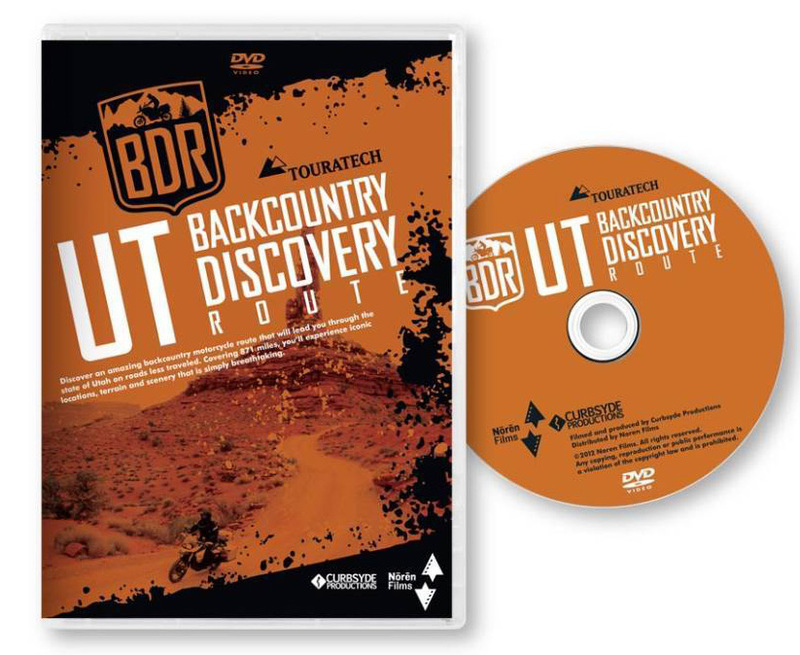 This package caught my eye the other day: a trans-state, mostly dirt road adventure across Utah, comprising of a dedicated paper map, an hour long dvd and track logs on the Utah BDR webpage to put it all together. With the Colorado river cutting through the Canyonlands on its way to the Grand Canyon, southern Utah must be one of the most photogenic places on earth. It’s a wilderness spectacle I’ve visited a few times, and one that’s exemplified by the iconic buttes of Monument Valley (or is it Valley of the Gods, nearby?) which featured on the cover of an earlier edition of AMH in the late 90s. 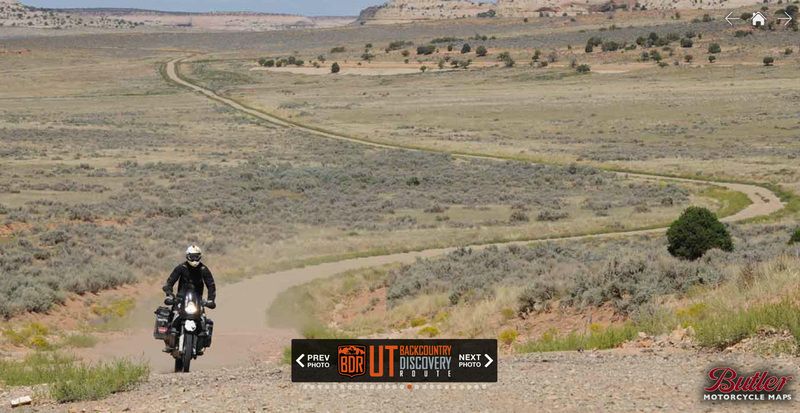 The Backcountry Discovery Route project seems to have been cooked by Touratech USA’s Paul Guillien, describing the idea as ‘a community based effort dedicated to establishing and preserving off-highway routes for adventure motorcycle and dual-sport travel’. 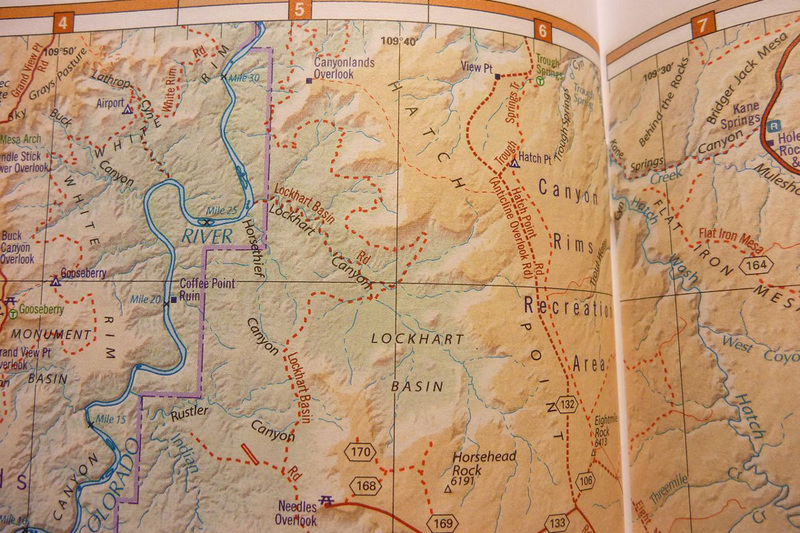 It recces, plots and describes itineraries on public roads across the wild corners of the western states. They’ve done Washington in Touratech USA’s back yard. Here is Utah with the Colorado BDR out in February 2013 and other western states like Arizona, Oregon and Montana in the pipeline. It’s a concept which reminds me of what may well have proved to be the over-ambitious Great Western Trail, itself parallel to the Can to Mex Great Divide Route (GDR) mapped by the Adventure Cycling Association. They may not have planned it that way, but much of the GDR happens to be usable by road legal vehicles and was featured in earlier editions of AMH. I’ve always thought the GWT or GDR were much more inspiring rides than the better known Trans Am Trail. Surely the mountains, deserts and history of the American west trounce the interminable prairies and agri monoculture east of the Rockies? Years ago I had an idea to make a guidebook to the region, but knew it would need an online, track log and video element which was all beyond me at the time. 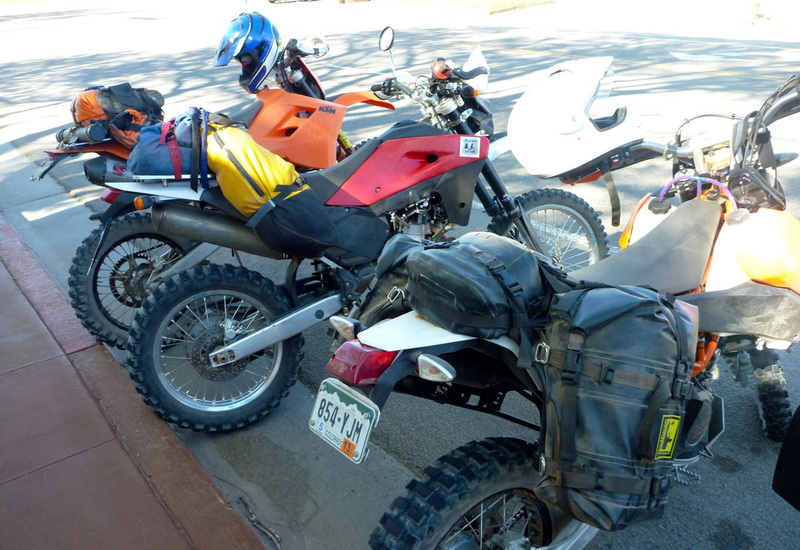 So it’s great to see someone with the resources of Touratech and the associated BDR supporters taking on the task, state by state, to map and log the sort of multi-day mini-adventures that adv bikes are made for. And if Touratech, Klim and whoever else supports the project sell a bit more stuff to wannabe BDRoutards, then good luck to them. 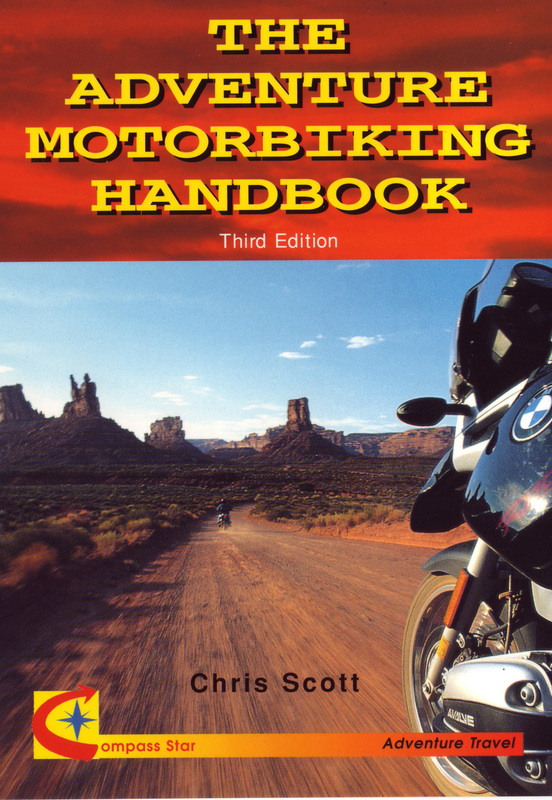 The film was shot over a nine-day period as eight riders followed the trail from the Arizona border near Monument Valley up to Bear Lake which spills into Idaho. In the credits I recognised the name Stirling Noren who made a great film for Helge Petersen in Iceland a few years ago, though it seems his role with this production is merely as distributor. As you’ll read below, that’s a shame. I don’t watch many dvds these days – does anyone? – but what immediately struck me having just watched Richard Grant’s sublime American Nomads doc on TV was the comparative ropiness of standard definition. How quickly we’ve got used to HD, but AFAIK you can’t make old tech dvds in HD unless they’re Blue-Ray. And although the original footage was almost certainly shot in HD, only the online trailers can depict the benefits of HD’s much greater resolution, as you can see here. And so we set off to follow the octet of Routards aboard well-laden BMWs and KTMs, none smaller than an F800GS. It’s great to see big adv bikes actually being put through the paces which their marketing claims they excel at; fully loaded for days riding the dirt highways of the American west. 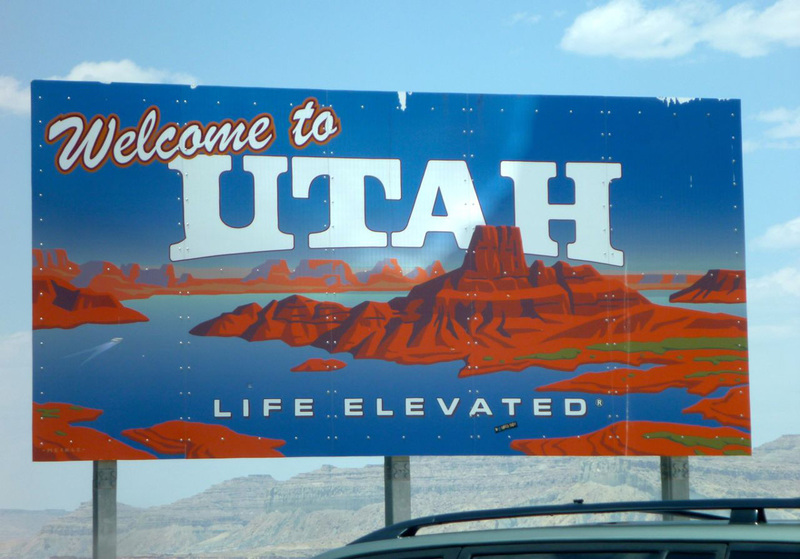 The film was presumably shot in high summer but the weather was not so summery, or maybe that’s normal for Utah which, despite its association with red rock desert canyons, is actually quite high. And with the shooting understandably taking place in the mid part of the day when desert light can be harsh, I missed what I knew to be the golden glow of Utah’s desert scapes. So when you consider they’re riding though some of the planet’s most striking vistas I have to say I found the film a little disappointing for its hour’s length. Riding for several days is repetitive of course, but a little creativity in the shooting would have lessened this impression. I also thought the drama got a little overcooked at times, not helped by the occasionally portentous ‘my god, will we make it?’ score. I know from my own experience that getting a good score can be one of the most challenging aspects of editing a film, but when you get it right it can hugely improve a film’s watchability. The UTBDR film makes all this a little more difficult by dropping the ambient background soundtrack, except when the riders are doing their ‘P2C’ camera chats. This may have been a wind noise issue (a Jeep support vehicle was used), but you do miss the growl of the big twins hauling along the trail while the wind whistles across the mesas. This film was directed, scored and edited by Curbsyde Production’s Flora and Joe Lloyd who seem to have developed a certain look of long, low shots in slo-mo. These work well in demonstrating the pounding suspension of the heavyweight adv bikes, but alternative views on the action would have made the dvd more involving to the target audience. We’re riding motorcycles here, not watching lions stalk their prey on the Serengeti. More on-bike or alongside-bike PoVs could have been mixed in with the long shots to emphasise the dynamism of big bikes rolling through the landscape. There are a couple of these and from one shot (right) there’s what looks like a Lumix FT mounted on the bars – a great little camera which I now prefer over my recently sold GoPro. With this sort of hardware and some RAM mounts it’s not difficult to film anything moving from any angle. I suspect the tight schedule and at times poor weather made all this too difficult. No one ever quite manages to shoot the film they hoped. Many of the better slo-mo shots are used over and over again in the hour-long film with what feels like 90% taken locked off on a trackside tripod with the bikes passing through the frame. That’s the stock shot in films of this type and works well in a short, youtube promo vid but as I said, over an hour there could have been more creative shooting: high on poles, low on the ground, anywhere you like on the bike or alongside it. I may have got the wrong end of the stick, but Flora Lloyd didn’t make the best of this opportunity. The film sticks solely to the trail. Let’s see the mud-spalttered posse rolling in to a Ma and Pa fuel station, cutting loose in a cantina in Moab, or chatting with locals. Film the journey not the ride, with less of the straight-backed campsite asides about the awesome day’s ride – we know, we just watched it. I think the group was too big to be able to achieve this, but perhaps the many necessary supporters involved in the project wanted to be sure they got their share of face time in the finished product. 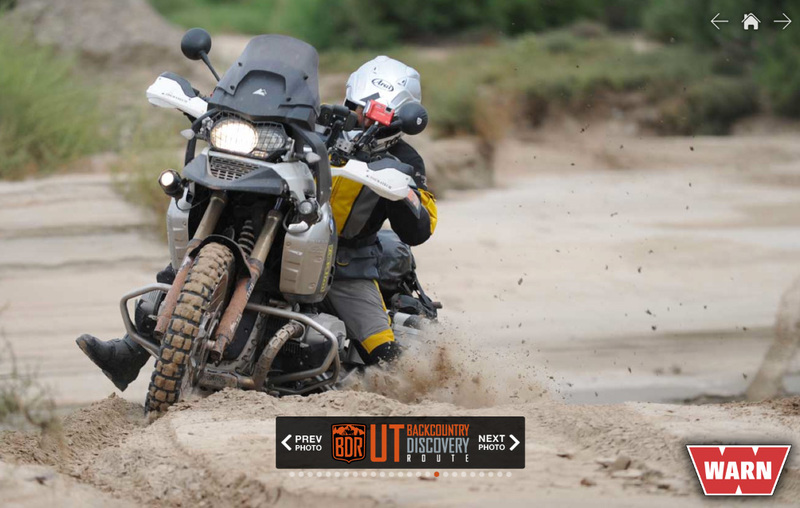 No one ever appears tired, hungry, fed-up or even dirty, heavily clad as they are in pristine Touratech or Kilm apparel. The cramming home of the corporate sponsors’ message gets a bit disengaging – at least to a UK viewer. Possibly in the US – where they’ve just spent $2bn promoting an election – this sort of hard sell is normal. You’ve got to see it all to know it all of course, but once the riding is over many viewers would have wanted to see something like I tagged onto the end of my first moto video shot in western Canada in 2001: the group sat around discussing how their gear and their huge bikes performed following their 900-mile backroad adventure. Perhaps that all features on some blog somewhere, but if it exists you’d think it’d be linked off the BDR website. The BDR is not all dirt either, and so I think it would have be fun and no less ‘on message’ to see the big twins carving up a bit of Utah’s blacktop from time to time. The film has some great moments and there are some slick time lapse shots too, especially at night, that seem to be over too quickly. But all up it didn’t make the UTBDR look half as good as I bet it is, given the huge task of herding eight trail weary cats to try and grab a killer shot. Clips like ‘I don’t know much about Newspaper Rock [Indian petroglyphs, Canyonlands] but that is where we are‘ and ‘… where we saw some great… err, I believe Anasazi… err, petroglyphs on the wall?’ would have been better left on the cutting room floor. If you’re going to talk about that sort of stuff, know what your talking about, otherwise it comes across as a lame token filler. Luckily the following voiceover claws back some credibility. The bonus material includes only adverts from the sponsors and supporters, plus some stills from the mission’s photographer, Jonathan Beck. You’ll get no goofy outtakes here! It’s easy to be sniffy about paying for dvds these days when great stuff like the Nomads doc above can be found online for free. We’ve all become mini Spielbergs too, spotting flawed filming even if we couldn’t do any better. I recognised myself a few years ago that the effort required to shoot worthwhile footage and then assemble it into a sellable film takes up much more time and resources than you’re ever likely to earn back. Although the vid was disappointing, there can be no better format in vividly giving you an idea of what to expect on the trail, short of slapping it on youtube. As it is they give away the GPS tracklogs for free, so I don’t resent paying for the vid. 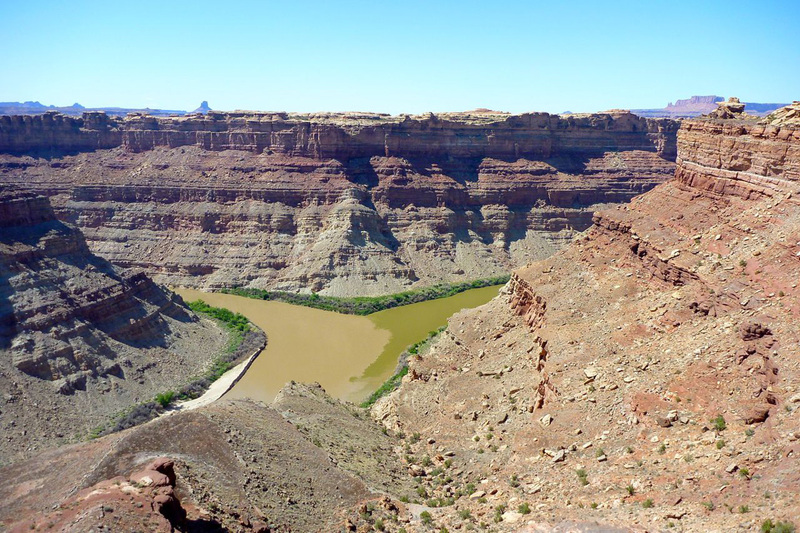 Exploring southern Utah on a bike, including the Lockhart Basin, Onion Creek and the nearby White Rim Trail are certainly something I hope to have a crack at some time soon (I did: here and here). Butler’s double sided map of the UTBDR covers the whole state at a scale of 1:714,000 which for some reason adds up to 11.2 miles to an inch (US map scales have always baffled me). The map measures just over 3 feet by just over 2 feet and is printed on tough plastic paper. 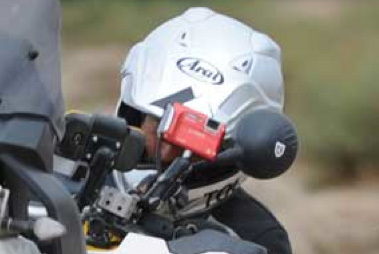 As I’ve found in Morocco, this is the way to go with maps that’ll get rough use, specially on a moto. You can use such a map hard and it won’t fall apart like a Michelin. 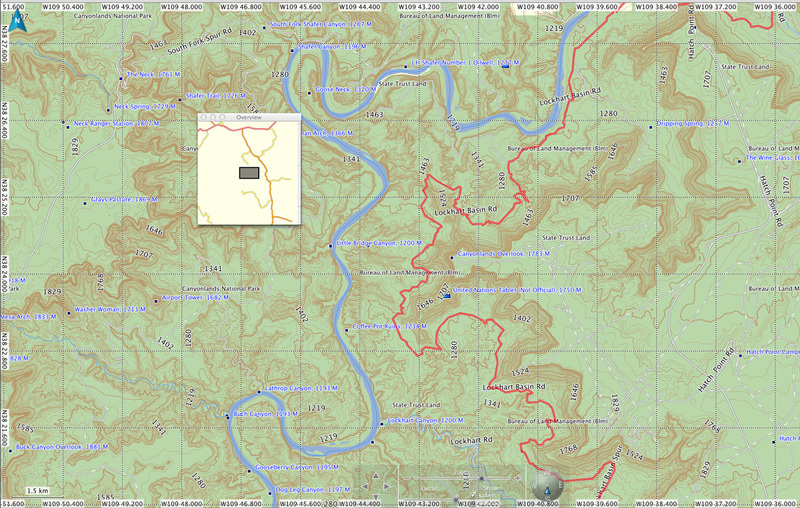 Clearly you’re expected to rely on the track logs downloaded from the UTBDT website; the Butler map probably won’t be enough to navigate with, but it gives you the big picture that a GPS screen never can. If you’re a heretic with something against satnavs (or your unit packs up…) you could try printing off Google maps, more accurate Utah topo GPS maps (left, with the UTBDR displayed using Garmin BaseCamp) or drawing the trail along something like a large-scale Delorme or Benchmark atlas (right) which goes down to 4 miles to an inch (1:250k) and provides a whole lot of guidebook-like info too, even if they are too bulky to sit on a tank like a Butler map. More on this below. 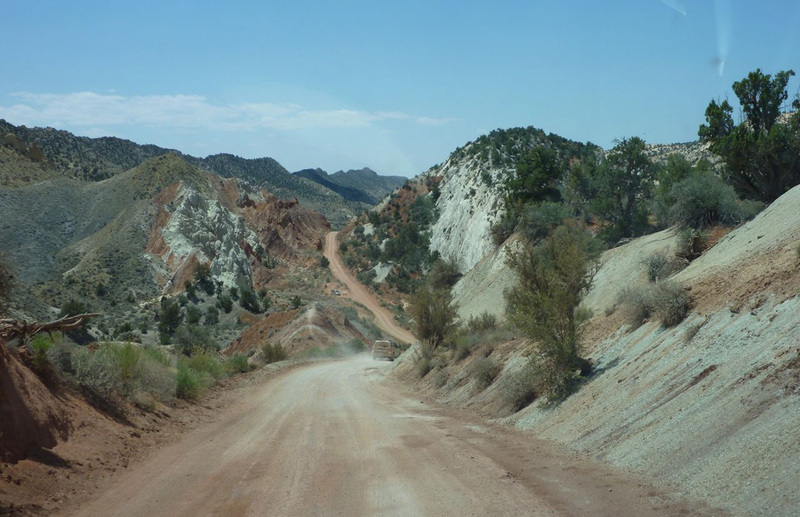 The map breaks the 870-mile trans-Utah route into six sections, although it’s not clear what separates these sections – it doesn’t seem to be obvious places like reprovisioning points. Nor could I find exactly how many miles are dirt, dirt options or sealed roads, all of which help get a measure of the task ahead. 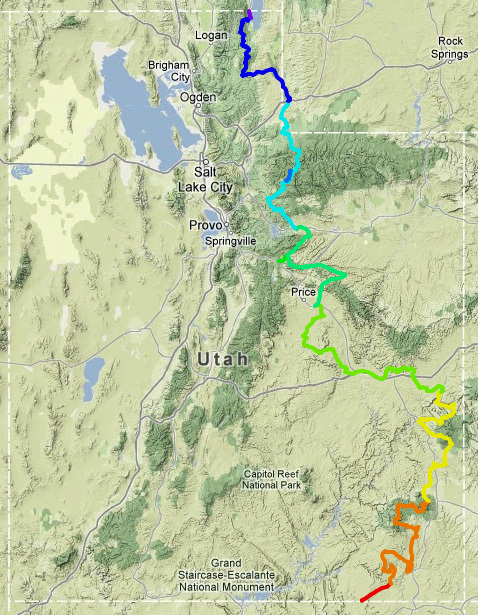 Another thing that would be useful are incremental mileage markers along the trail, starting at zero in Goulding and appearing at say, at every key junction such as Valley of the Gods start on US 163 (28.6m) and then another at where VotG Road joins UT 261 below Moki Dugway (54.1m), meaning you can work out that VotG dirt road between those two points is about 26 miles, or an hour or two’s riding. 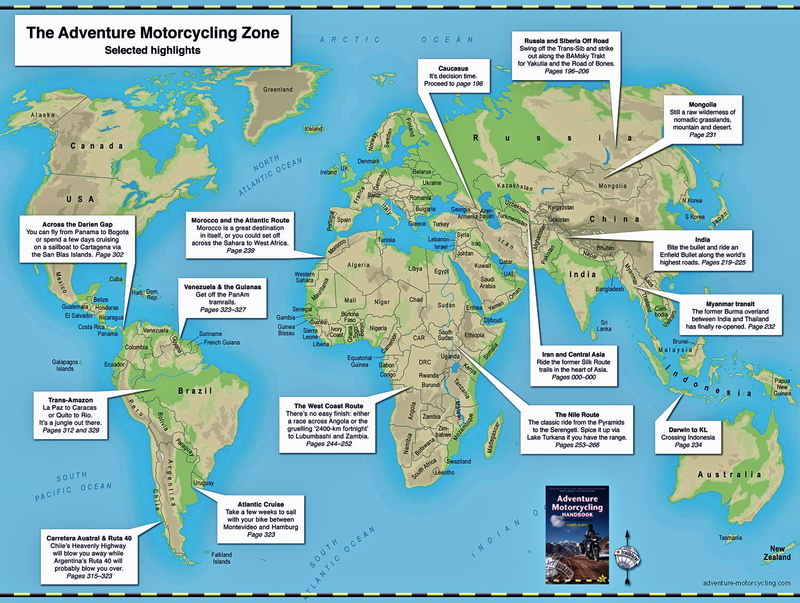 Another thing that’s immediately apparent is the lack of a lat-long grid, something I go on about with Morocco maps used for similar sort of riding adventures. The 1:714k-scale may be a bit small for this, but with a lat-long grid and a back up GPS (like a smart phone) you can pinpoint your position should your satnav go up the onion creek. Until there are helpful BDR signposts at each junction, this ability could help you avoid making a mistake by following the wrong track. Along the Route there seem to be several alternative dirt trails and countless junctions where a long-lat grid would be a useful navigation aid. On the reverse side of the map you get a very neat elevation profile using the full width of the paper (although they miss out depicting the alternative routes which could mean the difference between going high or staying low). There are also a dozen or so insets of what you presume are tricky unsealed sections enlarged to 4 miles to an inch and which seem to use the same base map and scale as the Benchmark atlas mentioned above. I feel they could have dumped the rather lacklustre moto-action photos which haven’t printed very well on the plastic paper, and made those map insets either larger scale, or have them cover a larger area. Maybe I’m old fashioned, but on a ride I’m used to getting involved with the nav and tracking my route on a map, rather than relying solely on a line on a satnav screen. Out here a good paper map is vital. A handful of QR codes lead you to online videos of each section, or are promotional/commercial links. You’d think it would be handy to have say, accommodation and eating options in the few towns along the route, even if it was just a third party site such as a local tourist board. One QR indicates gas, food and lodging, another links to ‘route conditions’, but there’s no indication of a url so if you don’t have a QR-reading smart phone you’re in the dark. There’s no indication on the UTBDR website what these links might be. You have to congratulate Touratech, Butler and all the rest for coming up with a great concept that will be a shot in the arm for dirt road exploring in the western US: ready-made, bite-sized, week-long adventures that are guaranteed to get you riding your machine into the heart of the wilderness without inadvertently ending up at the end of a rancher’s shotgun, a dead end or in a ranger’s citation. Despite my criticisms the dvd and map are well worth $40 as it’s hard to think anyone’s going to make much on this whole deal when all the work is done – the value will be mostly promotional to all concerned. Yes you could pick over the web for days to get this all for free, but like a good guidebook, sometimes it’s just easier to pay up a little to gain a lot of inspiration from someone else’s hard work. I’m looking forward to the rest of the BDT series. This entry was posted in Adventure Motorcycling Gear Reviews, AMH News and tagged Adventure Cycling Association, adventure motorbiking handbook, AMZ, Backcountry Discovery Route, Benchmark atlas, Butler Maps, Curbsyde Productions, Garmin BaseCamp, Great Western Trail, Moki Dugway, Monument Valley, southern Utah, Trans Am Trail, Utah Backcountry Discovery Route, utbdr, Valley of the Gods. Bookmark the permalink. I took a look at the vid,,,those big traillys reminded me of big tiger tanks invading russia..Why struggle with those monsters!! they are so many lighter options.. I agree Phil. Watched the COBDR vid the other day (hope to do it late summer). Same collection of tanks. I presume it’s partly a necessary branding exercise for TT who sell a lot of gear for these popular big advs. Thanks for the review & feedback! You are correct in that the free GPS track is how you navigate and the map is for the big picture overview (where am I over? Where is gas? etc.). These routes and released material take a long time to produce and cost in the 10s of thousands each. Each BDR project becomes more refined than the last one. Colorado BDR is coming out in a few days. Shoot us a line and we’ll send you a set to review too.